I couldn’t breathe! It was like being in the northern Indian enviromental disaster that is Faridabad all over again only this time there was no barcode of factory chimneys scarring the horizon, this disaster was nothing more than a queue of people waiting for a bus! The woman peering out of a tiny ticket counter had promised me the bus would arrive shortly before handing me my ticket. That was over an hour ago. At first I had stood alone but after a while a cigarette puffing crowd had formed at the bus stop, lighting up cigarette after cigarette while hissing at their watches and tapping their feet impatiently. I couldn’t handle it anymore, my poor lungs, my sanity, was this what Romania was going to be like, had I once again made a terrible terrible mistake? I had decided instead I was going to dive into the shark infested world of the Bucharest taxi driver. I ordered a taxi from an automated machine and before I knew it I was being whisked towards downtown; seat belt not included. My body froze as the growl of a plane engine intensified until I thought my eardrums would burst. Looking out of the taxi window I realised a military jet had made a low swoop metres above the heads of a crowd lining the road before climbing vertically like an angry little bee piercing the blue sky. I remembered how we had circled above Bucharest for half an hour, the captain had informed us matter-of-factly that Romania’s main international airport was now closed to commercial airliners and we could do nothing but make a loop above the flat patchwork plains of Wallachia. There was an airshow on and I guess the military had the priority platinum card. As the taxi drove down the tree-lined boulevards I stared out at the grey apartment buildings and massive billboards for products I had never heard of. Now this really was a country with a past evident on every street corner. Some sleek new office blocks and 4WD’s dotted the cityscape but it was mostly utilitarian mid to late 20th Century or crumbling Haussmannism. The taxi turned onto Victory Square and I felt a rush of excitement. This was the world of Macarena and Communism. I had wanted to see this square since watching the disturbing documentary “Children Underground” which followed the life of Macarena, a child living on the street who had been addicted to the macarena, a silly global pop dance. Her childhood was gone, her gaunt face now a metallic silver from Aurolac, her new addiction, a kind of chemical paint. 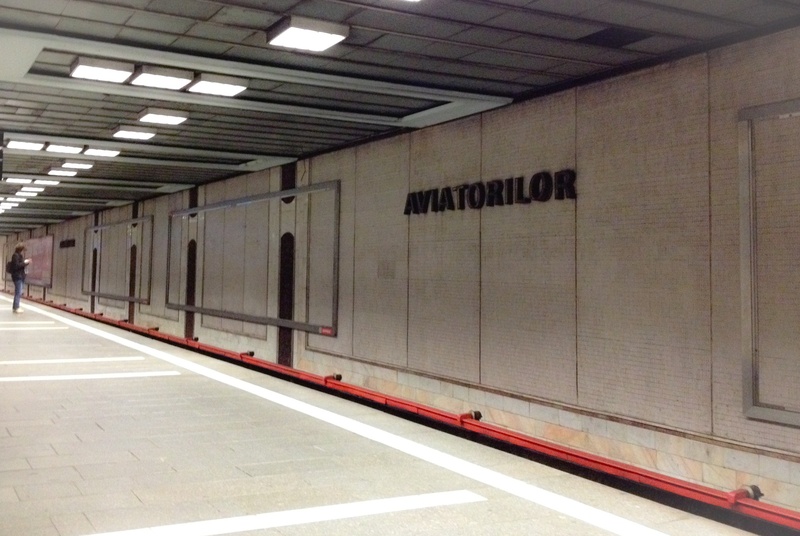 I had somehow got the idea that I should scour the Bucharest subway system and find her just to make sure she was allright but this was a city of six million and knew the chances of ever finding her were slim. The taxi made it’s way along grubby Magheru Boulevard and it’s stark apartment buildings with balconies facing onto other grey balconies. I noticed the red brick Italian Church dwarfed by Stalinist architecture. I suddenly felt anxious. Was I mad? Why was I here? Why Romania? Why not Spain with all the other Europeans? I kept seeing the reflection of a golden bracelet in my mind, on the arm of an elderly woman as she was tackled by a group of soldiers. She had pleaded with them and asked if they would treat their own mother that way. She wasn’t any sweet old lady though. She was Elena Ceausescu experiencing her last moments alive. The wife of the former dictator she had ruled this country with an iron grip for decades. The Ceausescus were at first loved by the people for speaking up against Moscow but in the end their policies had wrecked the economy and the optimism of the people. Families, many destitute, had been “advised” to have at least five children. Villages and historical neighbourhoods had been razed to be replaced by damp, leaking apartment blocks in a sea of cracked sidewalks and rusty, sharp playgrounds for children. Packs of dogs would roam ill lit streets at night. The factories would belch out chemicals onto towns, the clouds of acid rain trapped in valleys with nowhere to go. Self-sustainment was a dirty word, people should work and consume low quality products. This was Ceausescu’s dream. After being impressed with the projects underway in Pyongyang he wanted his own North Korea. The secret police, the Securitate, maintained fear across the country. Abortions were illegal. Families couldn’t cope and the horror orphanages that we all saw in the early nineties began to appear. The children living on the streets and underground were all fallout from Ceausescu megalomania which continue to this day. It was around the late eighties that I had became aware of this strange land after a friend had read me a magazine article about a country where they only had one television channel. Broadcast for two hours a day, the dictator would talk, the last hours entertainment in the form of total Communist propaganda. I remember shivering and thinking how frightning it must be to live there before we moved onto the horoscope section. It was the start of summer 2015 and I realised I was alone. Only a few months ago I had wandered excited around Tokyo with my boyfriend and now it was all over. After seven years I guess our relationship had not been strong enough. I had needed to get away from everything, to top the sadness my sister-in-law had died suddenly. I hadn’t travelled alone in years and it would take me time to find my feet again. I had wanted to visit Romania with it’s traditional arts and timeless villages for years. This was the main attraction, the villages, to leave Starbucks and Whatsapp, to leave the memories of neon and Shinjuku. I wanted to sneak into a rural Orthodox wooden church in a random village wearing a bright, floral headscarf the hear foreign words and smell incense and witness devotion. To walk in hills and jump over streams in search of wild flowers and bears, the brooding mountains and simpleness, it didn’t matter if no one spoke English. Could that be Macarena now…? As the taxi passed the memorial crucifixes outside the National Theatre I realised the finiteness of life, of everything. Endings begin even if you didn’t want them to. I realised Bucharest was good for me. It was the place I was meant to be, the severe buildings and drab commercialism reflecting my moods. Sometimes I would stumble upon optimism in the form of an old church or ornate building. I could never have been in Spain at that moment with it’s happy, drunk holidaymakers urinating in the streets. No, I had made a good decision, Bucharest was right for me. Perseverance seemed to preoccupy my thoughts. It was around the National Theatre and University Square that the first protestors had been killed. 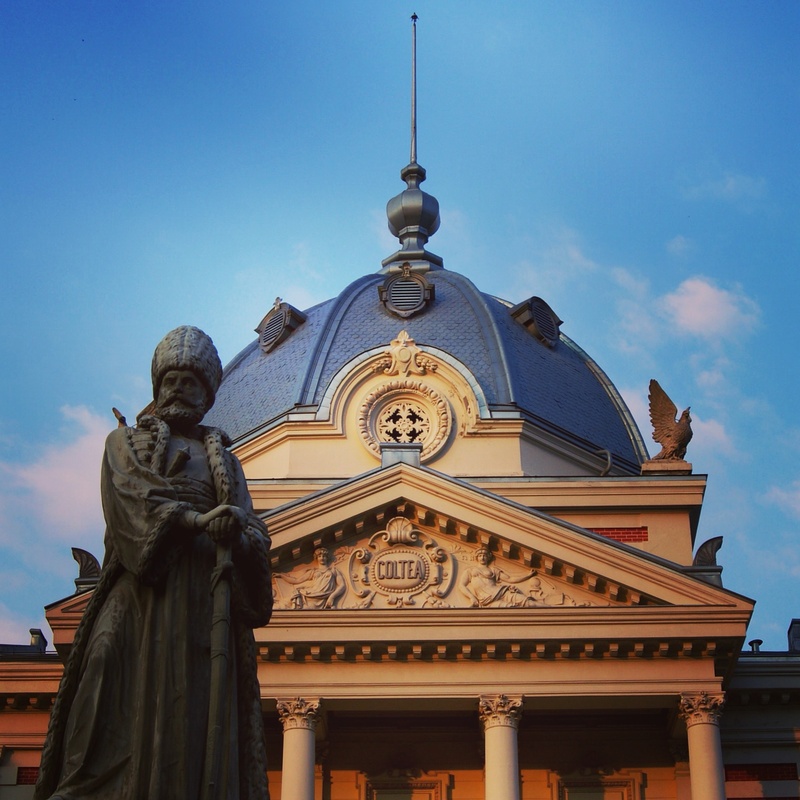 At first a small group of people started shouting “Timisoara! Timisoara!” towards a bewildered dictator who was making a speech from a balcony. The voice of the people grew stronger. 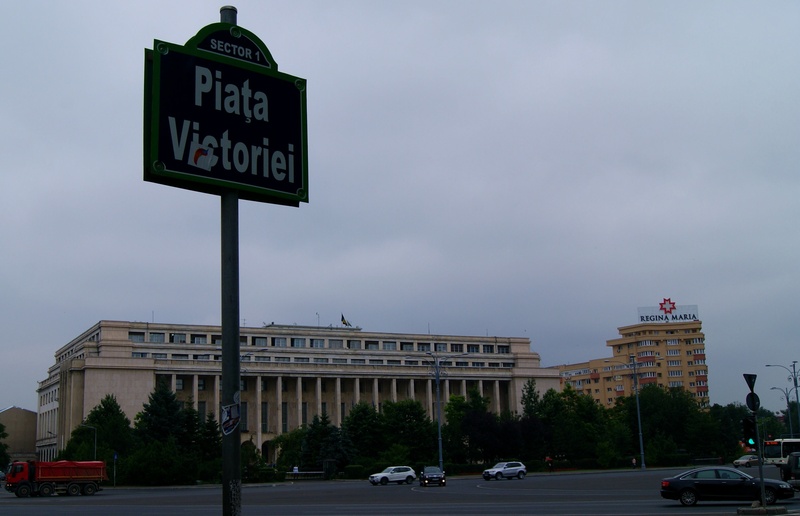 Timisoara had been the town where protests had started. Ceausescu looked puzzled, how could they be so disrespectful he must have thought. I was the one who stood up to Moscow for them! Well, it was all over. It was the moment in the Wizard of Oz when the wizard was exposed as nothing more than a ordinary little man hiding behind a curtain. 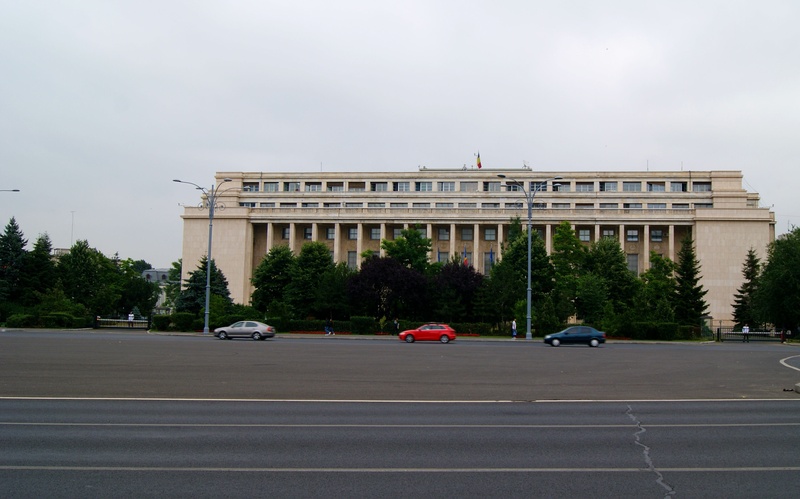 The Ceausescu’s would flee by helicopter as the ministeries were ransacked only to be executed on Christmas Day. The citizens of Romania fought for their lives through their bloody revolution asking for nothing more than basic human rights. A group of noble friends even lined up one after the other and dared the soldiers to shoot them to show that even though their bullets would kill them individually the people could never be crushed. I was in Romania feeling heartbroken but somehow this perplexing land that was once a footnote in a glossy magazine was strangely comforting me. I was struggling through my humdrum life but so were millions around me wanting nothing more than happiness. There was no other choice but to go on. 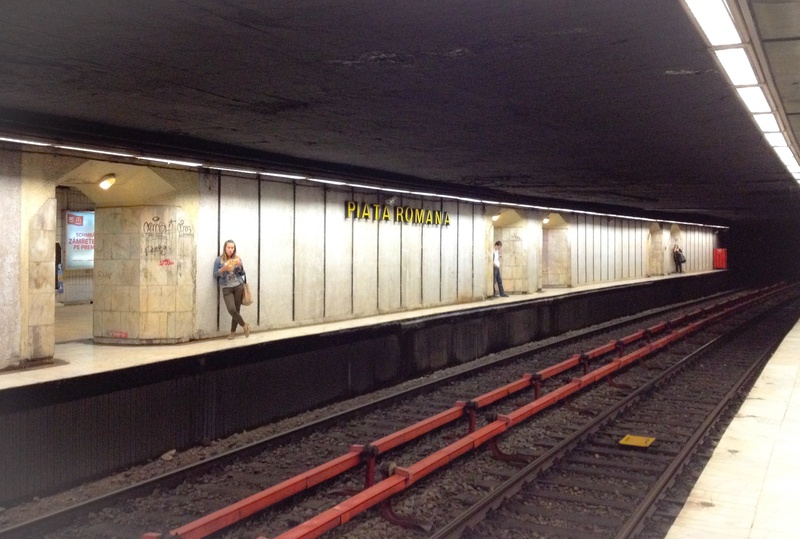 This entry was posted in Romania and tagged Boekarest, Bucharest, Bucuresti, Ceausescu, Children Underground, Communism, Elena Ceausescu, Romania, Romanian Revolution, Roumanie, Socialism, Wallachia. Bookmark the permalink. Hi ghetran I will be sure to check out your blog, loved Romania so much and it was always fascinating talking to Romanians and hearing about their lives and the drastic changes the country has gone through these past decades. Thanks for stopping by my blog! Thanks for the tip exoligu I will check out your blog! Sorry about the heartbreak! 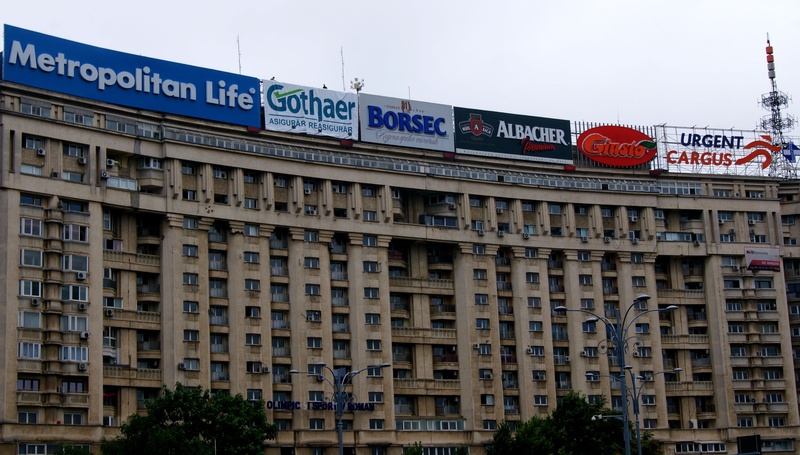 But hope you find the more cheerful parts of Bucharest – never mind Romania. If you’re still in Bucharest you might see if you can get one of the volunteer greeters (google global greeter network). 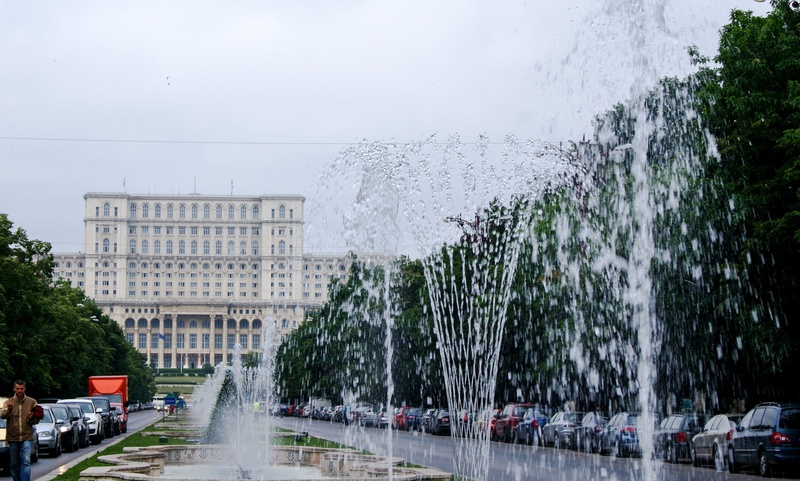 Yes I discovered another side of Bucharest which I will write about in a later post. I’m not in Romania just now but would love to return. I met some lovely Romanians too when I was there.